Dr. Geoffrey G White, MD is a Doctor primarily located in Pinehurst, NC, with another office in Laurinburg, NC. He has 33 years of experience. His specialties include Urology. He speaks English. The overall average patient rating of Dr. Geoffrey G White is Great. Dr. Geoffrey G White has been rated by 13 patients. From those 13 patients 3 of those left a comment along with their rating. The overall rating for Dr. Geoffrey G White is 3.7 of 5.0 stars. My mother is 84 years old. Has to travel over an hour for an appointment. She does not drive. She has very poor health. She has to have someone to drive her to her appointment. Because of traffic she was 8 minutes late for her appointment. They would not see her after traveling over an hour. My mother has a hard time getting just into the car. Very uncaring doctor's office. 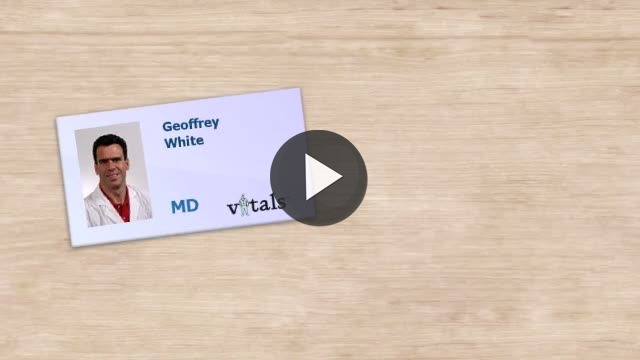 Take a minute to learn about Dr. Geoffrey G White, MD - Urology in Pinehurst, NC, in this video.